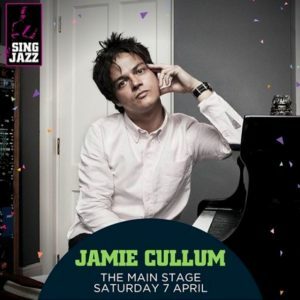 Jamie Cullum is performing at this years Singapore Jazz Festival on 7th April. Prestige online had a brief catch up with Jamie to see what he’s been up to. How much of the real you do you show? Hopefully a lot, particularly on this new album. But then again, I probably feel like that every time I finish a new album! What got you into music and jazz in particular? It’s in my blood. My family are music and art lovers so I was exposed to it all very young. It was also ingrained in me to experiment and try listening to different things. So when I discovered hip-hop, I delved into the jazz samples within and I was hooked. The sound, the improvisation and the necessary amount of skill to play it were really exciting to me. Read the full interview at Prestigeonline.com. Uggghhhh, I can’t wait to devour the new album!!!! I agree, I bet there will be some really great stand out tracks! !